Zambra’s fictional narrator writes, “I thought about my mother, my father. I thought: What kinds of faces do my parents have? But our parents never really have faces. We never learn to truly look at them.” Ways of Going Home is a mirror Zambra holds up to his generation’s parents, in an effort to see them clearly, to make sense of a past that is not clearly shown in documentaries and books about Chile, and in so doing to navigate his way forward as an adult. The Venezuelan television channel Telesur has begun live broadcasts to Cuba. During my visit to Cuba I watched television whenever I could, trying to get a sense of what Cuban authorities were thinking and what Cuban viewers were seeing. I was especially interested in public health announcements, such as those advising people to boil their water before drinking and to guard against mosquitoes breeding in and around their homes. In order to catch these announcements, I had to sit through several old reruns of Little House on the Prairie, which had been retitled “La Familia Ingalls” and presented as “an American family living with austerity.” There was a broadcast on disability awareness that began with a music video of Lionel Richie’s song, “Hello,” in which a teacher falls in love with a blind student. And there were also programs from the Venezuelan channel Telesur, such as a healthy cooking show featuring ingredients Cubans might find difficult to obtain and “USA de Verdad,” a program billed as “stories of the average American citizen” and the “impact of the economic crisis on their lives.” The episode of “USA de Verdad” that I watched was set in the Bronx, with the intended message was that life was tough in a low-income New York neighborhood. But the images showed buildings, streets and sidewalks in far better condition than in most of Havana, so one can only speculate as to how Cuban viewers reacted. This week Telesur began direct broadcasts to Cuba for several hours a day. The Los Angeles Times reports http://www.latimes.com/news/world/worldnow/la-fg-wn-cuba-us-president-obama-20130121,0,7160624.story that Cubans had the chance to watch U.S. President Barack Obama’s inauguration in real-time, though his speech was accompanied by a Telesur commentator who questioned his statements. 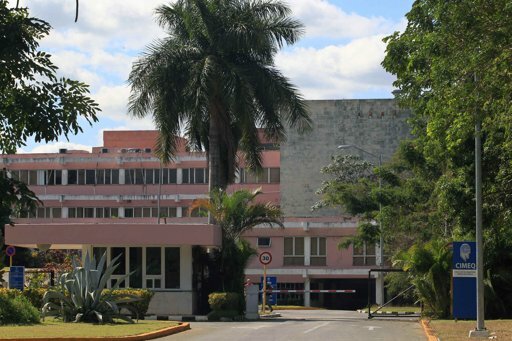 CIMEQ, the Havana hospital where Venezuelan president Hugo Chavez is undergoing cancer treatment. The Centro de Investigaciones Médico Quirúrgicas, CIMEQ (http://www.cimeq.org), the Cuban hospital treating Hugo Chavez, is the subject of articles by Reuters http://www.reuters.com/article/2013/01/14/us-cuba-chavez-hospital-idUSBRE90D16920130114 and the Associated Press http://news.yahoo.com/chavez-reportedly-exclusive-cuba-hospital-195249250.html and both news agencies observe there is little outward sign of the Venezuelan leader’s presence there. The hospital has a wing for foreigners and VIPs and its website (http://www.cimeq.org/es) lists 16 medical services, including 24 different cosmetic surgical procedures. Another option offered to paying cancer patients is a regime of alternative treatments by the La Coronacion travel agency in Havana. 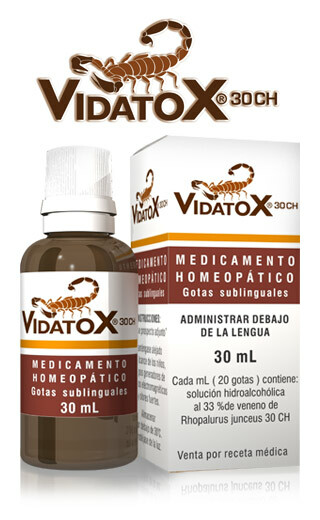 Billed as “the first Touristic Package designed to provide homeopathic natural oncological treatment in Cuba,” the agency offers 7, 15 and 21-day stays that include accommodation at the Hotel Club Acuario, transfers, a medical consultation and a combination of four nutritional and homeopathic remedies http://cuba-yes.com/en/health/cancer-medical-package.php. For the first time in the history of the Oscars a Chilean movie has joined the roll of nominees for Best Foreign Language Film. 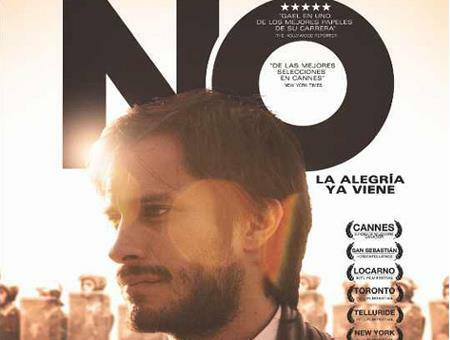 Pablo Larrain’s “No,” about the campaign to defeat dictator General Augusto Pinochet in the 1988 one-man presidential plebiscite, was one of 71 entries this year, making it to the short list of nine films under consideration and has now been named as one of five final nominees. The film uses archival footage from the series of nightly 15-minute television broadcasts the “No” and “Si” campaigns aired the month prior to the vote, and here, courtesy of You Tube, is the first of the “No” programs: http://www.youtube.com/watch?v=MUNB_PxP6i8 . And one from the “Si” campaign: http://www.youtube.com/watch?v=vm7PkPNr0-A. 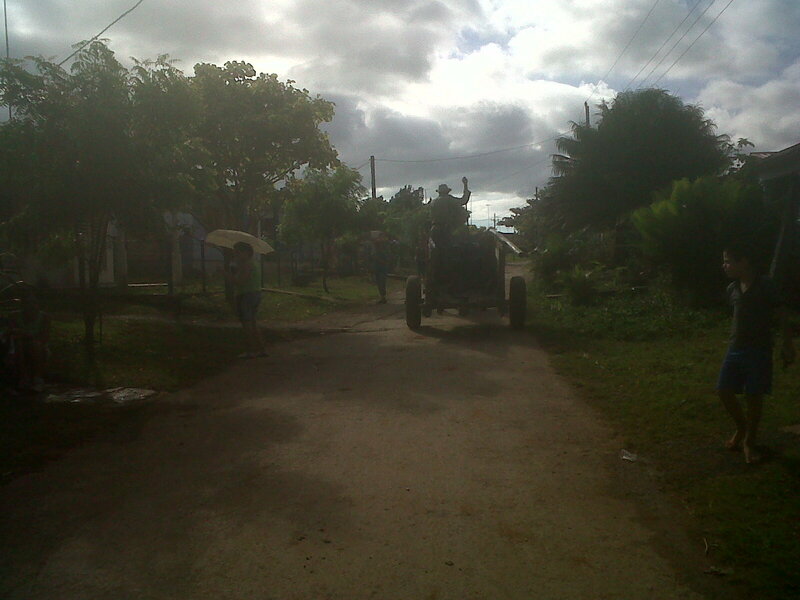 A rural scene in western Cuba, where the soil is rich but the crop yields are poor. I’ll begin this post with yet another cab driver conversation, this one following a visit to Cuba’s Jardin Botanico Nacional, where a guide has given us a detailed tour of some of the country’s botanical riches. The driver usually works outside Havana’s Hotel Nacional and the vehicle we’re in is an old Chaika, a luxury car once made in the former Soviet Union. The car used to belong to Fidel Castro—or so he says. But he doesn’t share foreign visitors’ enthusiasm for vintage automobiles, saying that for him they are a sign of economic backwardness. Cuba has very fertile soil, doesn’t it, I asked him. He readily agreed. And a long growing season, I add. He agreed again. And your population is educated, so shouldn’t Cuba be able to feed itself, I ask. That’s right, he said, but “hay que cambiar mentes.” Minds have to be changed. This is a report by the Associated Press, printed in the Chicago Daily Herald http://www.dailyherald.com/article/20121111/business/711119879/ on U.S. food producers at the 30th International Trade Fair in Havana in November of last year. 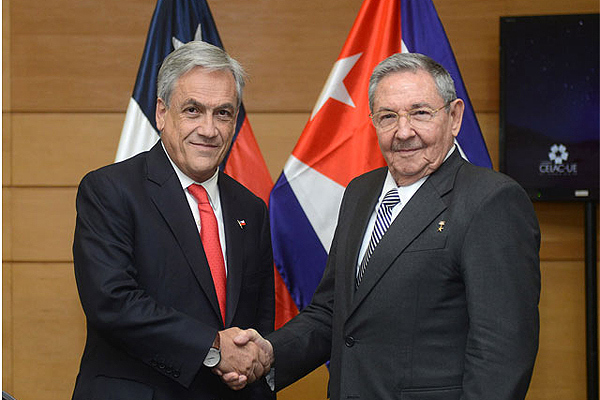 A Cuban official estimated the country will spend $105 million more than necessary on U.S. imports due to unfavorable credit terms, currency exchanges and logistical losses in shipping.